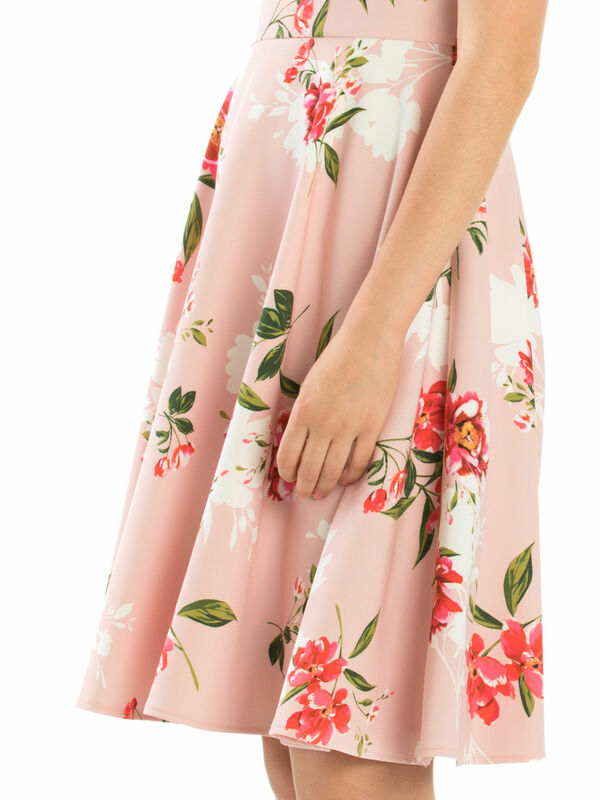 Aurora Garden Dress https://www.review-australia.com/au/aurora-garden-dress-blush/RE19DR442.RERED102.html The perfect dress for summer weddings, this Aurora Garden Dress showcases dark pink floral prints against a pale pink backdrop. 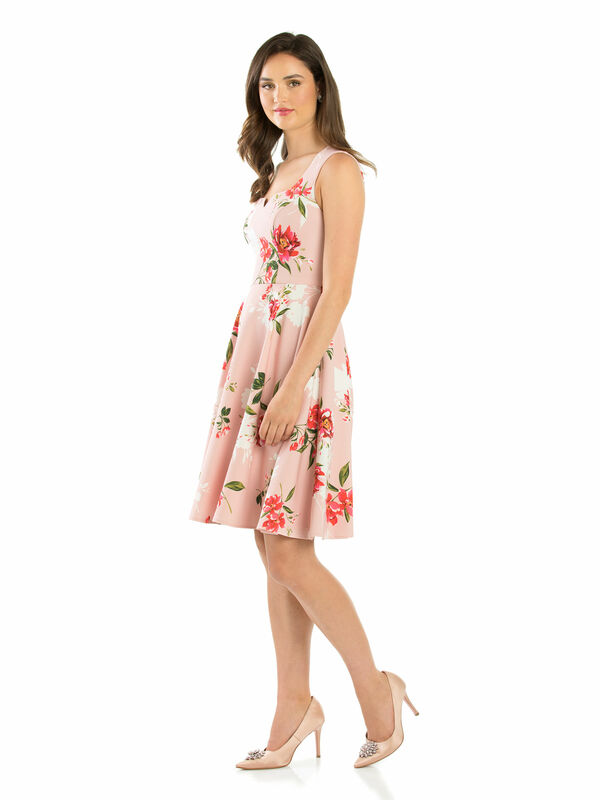 The flowing skirt is perfect for twirling, whilst the fitted bodice creates a stunning silhouette. 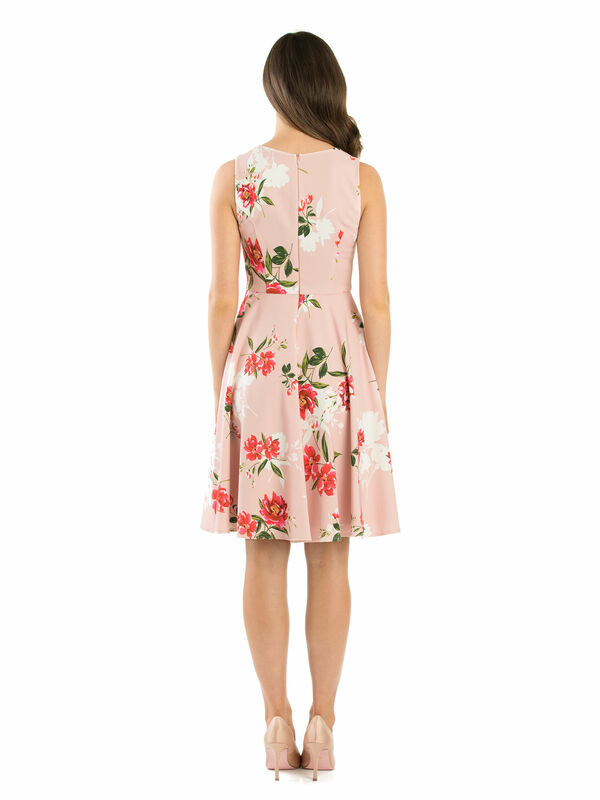 Fitted with a hidden zip on the back and a square neckline with a small v-shaped detail. It is fully lined for extra comfort and movement with the skirt. Aurora Garden Dress is rated 4.9 out of 5 by 7. Rated 5 out of 5 by Katie97 from Georgeous pattern and cut The dress has the most amazing colouring to it and goes so well with my skin tone. The cut is elegant and flatters my body. The comments i have recieved from other are lovely. Rated 5 out of 5 by SaiyanEmpress from Amazing dress Love this dress, great neckline and so light on your body. Rated 5 out of 5 by BF123 from Beautiful dress This dress is well made and runs true to size. The fabric's print is elegant, and the fabric itself is soft and has great drape to it. The shape of the neckline is very feminine and flattering. I have worn it once and recieved a lot of compliments! Rated 5 out of 5 by Chez61 from Lovely neckline. 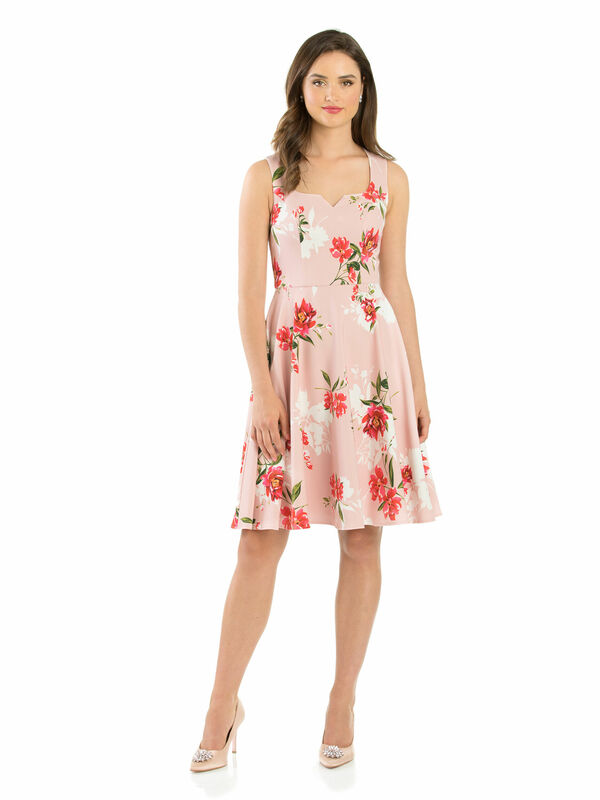 I bought this dress at the Karrinyup store a week ago, my husband loved it. The fit is fabulous and I love the material. The neckline is really lovely and very flattering. I would highly recommend this dress. Rated 5 out of 5 by Anna92 from Beautiful Dress! Beautiful dress, high quality materials and perfect for my grandmothers 80th birthday high tea!